The demolition phase is in full swing! 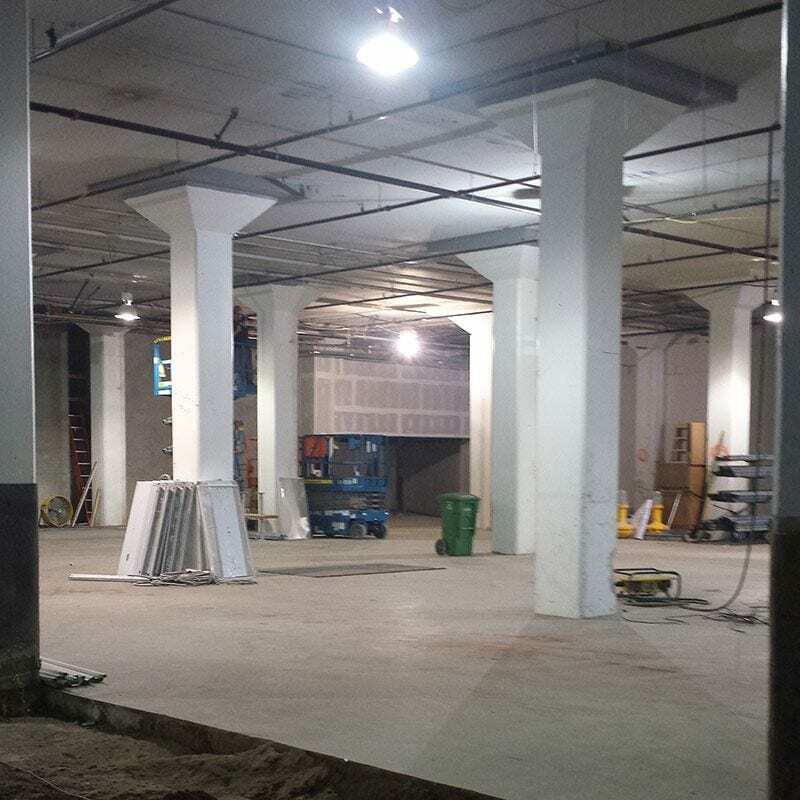 We’re leveling the concrete slab for flooring, hanging pipes for plumbing, trenching for underground work, and laying out every piece of equipment throughout the space. This process will last about 4 weeks if all goes to schedule. After demolition we start painting the exterior in early May. We’ll then be opening up the walls for two large windows; one on Harrison and one on 17th St. What’s comes next? Many different phases of interior construction and equipment installation. We’ll keep you updated!